I have this book by DAVID FLYNN and it is incredible, and very revealing. You can obtain this book together with his other Best Selling book 'TEMPLE AT THE CENTRE OF TIME'. WHAT ELSE IS ON THE Q-MAP? THE COMING RACE- AN OCCULT BOOK- by Edward Bulwer Lytton in 1871. That is a very interesting TOPIC. Recently I read on Steve Quayle's website: www.stevequayle.com, that it was recently discovered that the INCAS and ASTECS were obliterated as races very suddenly, and that they were destroyed by GIANTS who literally devoured them. There have been warnings by God for races 'not to eat other humans', and that if they did, that they would be destroyed as a RACE! 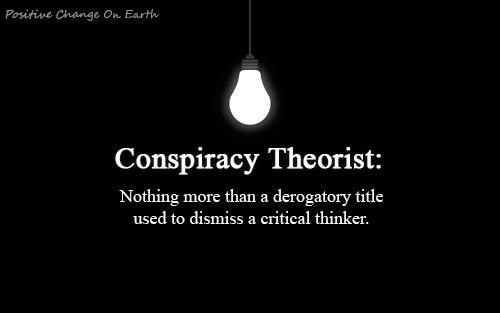 This has been proven to be true with former cannabalistic races. They end up getting wiped out one way or the other. Co-incidence? I don't think so! Those races were apparently cursed because of their very evil actions. It is an interesting book, and one that I have personally read. I personally believe that most things that come out of the 'NETHER REGIONS' are probably EVIL. The problem we face today is that EVIL tries to masquerade as GOOD, and at the same time it calls the TRUTH a LIE. So to live on this planet today for the average Joe, it is very difficult and confusing. The Fight for most people today is not so much a physical fight, as in past centuries, when we would all have carried either a gun or a sword to defend both ourselves and families from immediate harm. Today it is a spiritual fight more than ever before in history, and a great fight in the mind also. There are very deceptive entities or demonic powers that are always LYING to everyone. The only way to defeat these deceptive 'voices' is to know what the TRUTH is. Nothing in the entire universe is stronger than the 'Word of God', which created all things. JOH.1:2 The same was in the beginning with God. JOH.1:3 All things were made by him; and without him was not any thing made that was made. JOH.1:4 In him was life; and the life was the light of men. EPH.6:10 Finally, my brethren, be strong in the Lord, and in the power of his might. EPH.6:13 Wherefore take unto you the whole armour of God, that ye may be able to withstand in the evil day, and having done all, to stand. EPH.6:16 Above all, taking the shield of faith, wherewith ye shall be able to quench all the fiery darts of the wicked. EPH.6:17 And take the helmet of salvation, and the sword of the Spirit, which is the word of God. I would strongly suggest that for those like myself, who go delving into 'STRANGE TRUTHS' and into things which some Christians would say is delving into the 'Darkness', what is essential is to be strong in God's Word, before investigating new truths and possibilities, as there are so many deceivers out there, which want to pollute your mind and soul. The word of God is the only thing that keeps me personally on the right track. IF YOU HAVE ANY PROBLEMS WITH THE LINKS BELOW, IT IS STILL VERY EASY TO FIND THEM DIRECTLY ON MY WEBSITE, UNDER THE 6 MAIN TOPIC TABS AT THE TOP OF MY WEBSITE. MANY OF THE WORDS MENTIONED BELOW ARE UNDER POLITICS, SCIENCE, PARANORMAL & SOME IN THE OTHER TOPIC TABS. MORE WORDS FROM THE G-MAP: IN TIME,I WILL LINK ARTICLES, VIDEOS AND WEBSITES TO SHOW THE LINKS BETWEEN ALL THE WORDS LISTED AND THE G-MAP. This map is indeed very interesting and thought-provoking. Take the time to enlarge certain parts of the map, to see the many details. I will slowly re-write the map with columns of words, that are contained in the map. 26) PROJECT PAPER-CLIP- TOP NAZI SCIENTISTS TAKEN FROM GERMANY AT THE END OF WWII TO BECOME THE LEADERS OF NASA AND THE CIA. These are just some of the hundreds of words mentioned on the Q-MAP. Now who Q is, is a very good question. Q, if I remember correctly was the scientific leader and scientist in the MOVIE SERIES of JAMES BOND, who was responsible for making very advanced gadgets for James Bond to use, such as a hotted-up sports car with fitted machine guns or lazers etc. Q sounds like a top scientist who is probably still actively working for the CIA, AND WHO IS SOUNDING THE ALARM. That detailed Q-MAP is not made by an amateur. It is a professional map which was probably made on a big scale initially in order to incorporate so much amazing information. Since the topics that I listed above proved to be true and accurate, I have no reason to doubt the rest of the information on the MAP. NOTICE AT THE VERY BOTTOM OF THE MAP IN THE MIDDLE IT ENDS BY STATING: FOLLOW THE WHTIE RABBIT, BUT DELIBERATELY MISSPELLS WHITE. WHY? MAKE BE IT IS A CODE OF SOME SORT, FOR US TO FIGURE OUT. COULD IT MEAN: FOLLOW THE 'WHITE HOUSE'? PLEASE COPY AND PASTE THE MAP AND SEND IT ON TO AS MANY PEOPLE AS YOU CAN WHILE WE STILL HAVE THE TIME AND PRIVILEDGE TO YET DO SO. TIME IS TICKING AND WE WON'T ALWAYS HAVE THE FREEDOMS THAT ARE ALLOWED TO US TODAY WITH THE INTERNET! I HOPE THAT THIS IS A GREAT HELP TO ALL OF YOU. BELOW THE FOLLOWING Q-MAP IS VIDEO 1 THAT EXPLAINS SOME OF THE THINGS MENTIONED ON THE Q-MAP. SEE BELOW, AS I HAVE ADDED MANY NEW WORDS FROM THE Q-MAP, PLUS INFORMATIVE VIDEOS WHICH LINK MANY OF THE WORDS IN TODAY'S UPDATE. THE FOLLOWING VIDEOS ARE EXCELLENT, ALTHOUGH PARTS IN THE FIRST VIDEO, ARE DIFFICULT TO HEAR, BECAUSE OF OBVIOUS JAMMING, BUT WITH PATIENCE ONE CAN STILL LISTEN. YOU WILL FIND AN AMAZING AMOUNT OF VERY INTERESTING INFORMATION IN THE VIDEOS BELOW! Dear friends, I cannot emphasize enough, the importance of looking and studying in great detail the following G-MAP and ZOOMING IN on one small area at a time. Whoever the person G. is I don't know, but one thing I know is that they know what they are talking about, and all the words on the G-MAP do fit the real narrative of the 'MAKE-BELIEVE' physical 'MATRIX' in which we live. 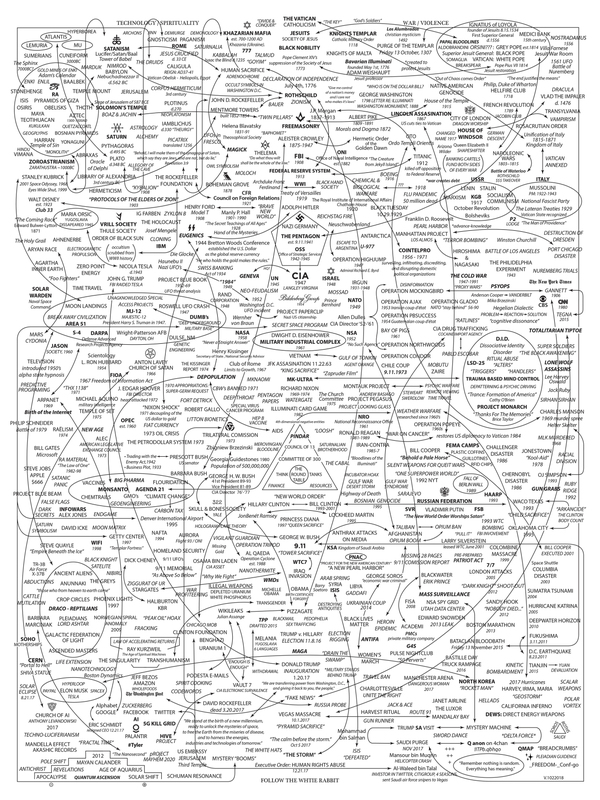 This G-MAP is one of the very best overall EXPOSE'S of all the LIES and COVERUPS all put together on this amazing and integral G-MAP. We can all learn a massive amount from this G-MAP. It is just a matter of if we want to see and believe or not? Do we take the RED pill or the BLUE pill? The choice is ours! We are at a critical juncture in history. A technological revolution is unfolding that is anticipated to alter humanity forever. We are witnessing the rise of tyrannical global governance and the fall of America. Elites around the world are keenly aware of the importance of the historical time we are living in. They want to be masters of the future. The following two videos, are essential for all to see, as they both expose the DEEP STATE, and show that Trump is dismantling the ELITE, AND HOW THAT MANY OF THE REAL CRIMINALS, SUCH AS THE OBAMAS, THE CLINTONS AND THE BUSH FAMILY, GEORGE SOROS, AND COUNTLESS OTHERS, COULD BE ALREADY IN THE PROCESS OF BEING ARRESTED, AND TAKEN TO GUATAMALO BAY CONCENTRATION CAMP. Apparently some will be executed for treason. There is also the recent decision by Trump to put the USA Embassy IN JERUSALEM. Why is Trump doing this against all odds? Why exactly right now? I have also put an excellent video about the 'Coming 3rd Temple' in Jerusalem, which is eventually destined to usher in the ANTI-CHRIST and the Last 7 years of World History.. CLEANING THE SWAMP IS REALLY LIKE TRYING TO CLEAN THE SEWAGE FROM THE OCEAN. A NEVER -ENDING STORY! KEEP WATCHING THIS SPACE, AS I WILL WRITE IN GREAT DETAIL, ABOUT THIS SUBJECT MATTER OF THE FOLLOWING TWO VIDOES, WHICH I DEEM TO BE VERY ACCURATE INFORMATION. I DO BELIEVE THAT WE WILL SOON HAVE A NEW WORLD ORDER, BUT NOT RUN BY THE ILLUMINATI. NOT RUN BY MURDEROUS KILLERS, AND PSYHCOPATHS, BUT BY THOSE WHO UNDERSTAND THE PEOPLE. 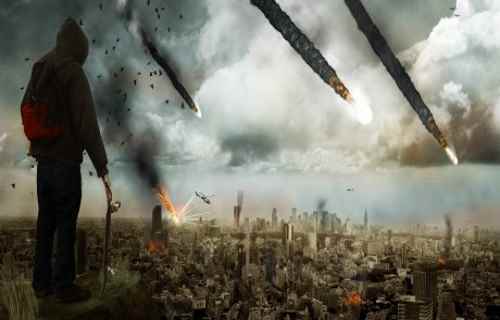 THE CURRENT WORLD ELITE ARE COMING TO AN END, BECAUSE THEY HAVE MADE THEIR NAME TO STINK TOO BAD! WHEN SCRIPTURES TALK ABOUT THE LAST 7 YEARS OF TIME, AND THE COMING 7 YEARS REIGN OF THE ANTI-CHRIST, IT CLEARLY STATES IN THE BOOK OF DANIEL THAT: 'HE SHALL COME IN PEACEABLY'-SO IT CAN'T BE THE ELITE OF THE PRESENT TIME, AS EVERYONE KNOWS THEM TO BE HELLISH, MURDEROUS AND A BUNCH OF PEDOPHILES. THE ANTI-CHRIST WILL COME TO POWER, AND A TYPE OF NEW WORLD ORDER, BUT NOT RUN BY THE PRESENT ELITE. I WILL BACK UP THESE CLAIMS SOON. P.S PLEASE PASS ON TO OTHERS, AS TIME IS VERY SHORT! Pelosi didn’t explain the significance behind Novus ordo seclorum (Latin, “new order of the ages”) to her listening audience during this momentous changeover in governmental control, she didn’t give any clarification of this “new order,” and she made no attempt to enlighten anyone with why our Great Seal pictures the all-seeing eye of Osiris/Horus—but she didn’t have to. To the illuminated ones in the nation’s capital, the address was an important edition in a larger series of carefully crafted speeches in which line-by-line analysis of her and other DC insider public references were, according to biblical scholar Bruce Lincoln and American Dynasty author Kevin Phillips “a medium for the voice of God” in which the inside elite enlist specialized hermeneutical skills they have cultivated to encourage those in the know “to probe beneath the surface,” where in sotto voce (“under voice”), they will understand and sympathize with what is actually being communicated, even if requirements of the public side of their office constrain them from speaking plainly. [i] Thus, Pelosi wasn’t saying those words for the benefit of the country’s citizens. It’s likely she knew very well that there were certain individuals whose ears would perk to those expressions: people who would know precisely what they meant; those who knew that the “In God We Trust” and “one nation, under God” mottoes of the country were intentionally ambiguous—that they point to and revere another spirit that will someday soon possess the one that some may call the Grey Champion. Without a specified “god” to which we could point to since our foundation, we essentially can—and have—dedicated our land to the supervision of whichever lowercase-g god the founding fathers and architects revered. Besides the giant pentagram that forms the layout of Washington, DC (discussed later), many other symbols appear in the fabrics of our nation’s identity that cause one to stop and consider their ultimate occultic intentions. Such an example of this is the Great Seal—the symbolism of which is richly pagan. Highly venerated 33rd-Degree Freemason and mystic Manly P. Hall once referred to the Great Seal as “the signature” of that exalted body of Masons who designed America for a “peculiar and particular purpose.” Interestingly, when Christians in the 1800s argued that a hypothetical annihilation of the US would lead to “antiquaries of succeeding centuries” concluding that America had been a heathen nation based on symbolism of the Great Seal, Congress was pushed to create something reflecting the Christian faith of so many of its citizens to quiet the voices of those who saw through the esoteric imagery. Though US President and Freemason Theodore Roosevelt strongly opposed this idea, certain powerful and Masonic leaders stood to approve it, and thus, “In God We Trust” was implemented as the national and official motto. It is the year 4300, and the earth has been all but annihilated. Humans are extinct, but their planet remains. Space travelers from another planet land on major cities and kingdoms across the earth—starting with the earliest Mesopotamian populations and onward, eventually arriving in Egypt. They dig through the debris and become rapidly fluent in ancient languages and writings of the Egyptians and the surrounding territories. Notes are made by the team regarding the phallic/pregnant belly designs gracing Egypt’s archaic structures and the beliefs associated with them. The all-seeing eye of Horus/Osiris, the belly of Isis, the pentagrams, the sun circles, and the astrological alignments of old-world architecture and monuments are all compared. The team comes to the obvious conclusion that the Egyptian pharaohs believed in using these symbols and structures to reincarnate Horus/Osiris himself into the host bodies of each leader, who would then, through the enlightenment of the gods, carry the perfect torch of leadership. The space travelers have no reason to believe that the reincarnation was impossible; they were never raised (as we Americans have been) to disregard such a sensational belief system through any kind of cultural bias. To the travelers, the Egyptian symbolism represents actual world history as it pertains to the souls that inhabited the planet long ago. The team moves on from Egypt and continues to study each land in the order it ws formed, coming to the US in due course. Many other world religions are studied along the way, including Christianity, which spoke of a man called the Antichrist who would greatly deceive many and lead mankind into the ultimate destruction as foretold in a book called “Revelation” written by one “John of Patmos.” The team learns that when the canonical Holy Bible was formed, this book of Revelation was included. Without any cultural imprinting of one interpretation or another regarding Revelation’s implications (premillennial, postmillennial, amillennial, etc. ), they assume that the prophecies contained therein pointed to a literal fulfilment. When “In God We Trust,” stamped on US currency, is found, the dollar bill is taken to their team captain. The question of which “God” the people placed their trust in is raised, and the captain immediately concludes that this “America” was either founded by a subsequent generation of Egyptians who journeyed to this secondary land, or by a different tribe/clan of people altogether who held the same beliefs as the ancient Egyptians. The symbolism throughout the capital city is a match—especially the Horus/Osiris all-seeing eye hovering over the unfinished Egyptian pyramid on the nation’s very seal—so the “God” the Americans “trusted” was Osiris/Horus/Apollo/Nimrod. By no means am I suggesting that an annihilation of our planet is on the horizon. Nor do I wish to begin arguing my beliefs on the various interpretation methods of Revelation. I do believe, however—as well as many Christians—that the Bible is the holy and inspired written Word of God, and that its words regarding the Antichrist are real and prophetic, pointing to a day when this Grey Champion will arrive to deceive the masses into following a World Order that has every potential of annihilating life—at least the life we know now. And if that is truly going to happen, it appears that there are some suspicious monuments, structures, architecture, symbols, and ambiguous mottos that appear to be welcoming that very Antichrist to our capital city. At times, it’s not only the glaring symbolism, but the particular timing structures were laid. Washington’s stellar design was no coincidence…. Masonic founders oriented the District of Columbia around Virgo. Every Aug. 10, an astrological event takes place in the sky over Washington that some say ties the city to a pagan goddess. At dusk, as golden light turns brick facades a dusty rose, the shimmering sun floats a few degrees just to the left of Pennsylvania Avenue, gradually inching to the right until it sets directly over the famous street. If the horizon remains cloudless, three stars are visible in a straight line from the Capitol to the White House to the skies in the west. Known as Regulus, Arcturus and Spica, the stars form a right-angled triangle framing the constellation of Virgo. Let all who read this book be warned thereby that the habitation of men are seen and surveyed [or “watched”] by that Ancient Race of gods and demons from a time before time [i.e., “generations before us,” as Bush stated], and that they seek revenge for that forgotten battle that took place somewhere in the Cosmos and rent the Worlds in the days before the creation of Man, when the Elder Gods walked the Spaces…. Know, then, that I have trod all the Zones of the Gods, and also the places of the Old Ones, and have descended unto the foul places of Death and Eternal Thirst…which was built in the EMPTY SPACE, in the days before Babylon was. I have traveled beneath the Seas, in search of the Palace of Our Master, and found the stone of monuments of vanquished civilisations, and deciphered the writings of some of these; while still others remain mysteries to any man who lives. And these civilisations were destroyed because of the knowledge contained in this book. And this is the amulet that I held in my hand, and hold to this very day, around my neck as I write these words: Of the three carved symbols, the first is the sign of our Race from beyond the Stars, and is called ARRA in the tongue of the Scribe who taught it to me, an emissary of the Old Ones. In the tongue of the eldest city of Babylon, it was OUT OF SPACE. It is the Sigil of the Covenant of the Elder Gods, and when they see it, they who gave it to us, they shall not forget us. 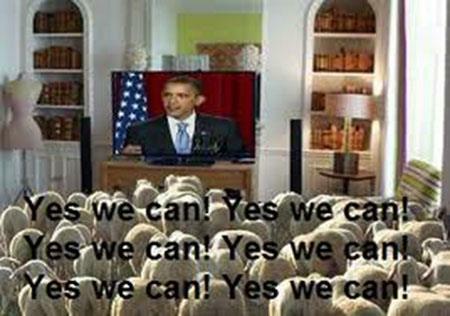 They have sworn! The second is the Elder Sign, and is the Key whereby the Powers of the Elder Gods may be summoned, when used with the proper words and shapes. It has a Name, and is called AGGA. The third sign is the Sigil of the Watcher. It is called BANDAR. The Watcher is a Race sent by the Old Ones. It keeps vigil while one sleeps, provided the appropriate ritual and sacrifice has been performed,: else, if called, it shall turn upon ye. Now the question must be asked: Why in the world would Bush (who is honored in the Pillars of Charity in the House of the Temple, the headquarters of the Supreme Council, 33°, Scottish Rite of Freemasonry for the millions of dollars he and his family have contributed to the cause of Freemasonry) be referencing such writings from the Necronomicon in his acceptance speech? Is it perhaps because he, too, respects a covenant-seal between man and the ancient elder gods who gave their blessing only upon those who know their secrets and place stones in the ground and images upon “seals” as a covenant? In the next few entries, we will uncover where these mysterious forces are being worshipped now, by whom, and how the occult elite are presently scheming to release the Ordo ab Chao “potent effect” that will give life to the personage—and image—of the real Grey Champion. THE FOLLOWING RATHER RAW REVELATION WILL BE A LITTLE ROUGH FOR SOME delicate and sensitive souls! But it is a very simple and almost childish illustration in the language of the streets, from a simple mind for simple minds, to very simply show clearly and in simple terms, exactly what's happening today in the world of high finance! I think that this article is amazingly accurate, and the fact that it was foreseen way back in 1973 by D.B.Berg, I think is quite remarkable and certainly very relevent to today in 2016. We have to warn Europe she's got to cut her anchor to America or she'll sink! She must not give America all these artificial respirations and transfusions! Why should Europe save America? They should just cut her loose and let her die!--Otherwise they'll bleed themselves to death! We've got to tell Europe to let America go! They're putting their eggs in the wrong basket! 3. THEY CAN'T SEEM TO GET OVER THE "AMERICAN DREAM," but that's not where God's going! They need to get on with their Socialism, and damn the Fascism of Amerika! Let America sink and go down, and then they can move in and take her over, and run her the way she ought to be run!--Humble her! but they're trying to respect her! She doesn't deserve respect: She's an old Whore! But they're trying to treat her like a lady, instead of socking it to her, and paying her off! A Whore?--You just pay her off, and you leave! You don't try to rescue her! Just pay her off and take off, and let her sink in her own mire! She's not like a wife that you try to save and take care of! Europe is trying to be married to Amerika, when they should cut her loose like a Whore! They've got a whole lot invested in this Whore, and they don't want to lose it. So they try to save her so they can save their investments, and they're trying to get the rest of the world to ____ her, so they can save her and continue to make a little money on her. She thinks she's their owner, but they're her owner, and unless they rescue her, she'll die; but they're trying to rescue her to save their own investments. She's going to die anyway, and they're going to lose anyway, so the quicker they cut her loose, the better! 6. IT'S TOTALLY ARTIFICIAL FOR THEM TO SUPPORT THE DOLLAR! If they'd just let the dollar sink down to where it belongs, America would sink! But the whole trouble is, they each own too much of a share in the Whore, and they don't want to lose their investments. So the money pimps get together and agree to support her dollars when she's sick and not earning them any money. They think she's going to get well again, and they don't realize she's just going to die, and they're pouring their money down an ____ hole--hers! 7. THEY'D BE BETTER OFF TO LET HER DIE IN PEACE FINANCIALLY, THAN TO HAVE HER HAVE TO BE KILLED IN WAR! Better just to let her die of her diseases, than to let the police catch her--God's police! 'Cause if God's police go into action, God's police are going to catch the pimps too, and judge them, and they're all going to be fined and lose, because they supported the Whore! It's unlawful to be a pimp and pander! 9. SEE, THE ONLY WAY THEY'RE GOING TO SUPPORT THE DOLLAR TO SUPPORT THE WHORE is by announcing to the world that they're going to support the dollar! In other words, they're going to pay them or redeem them. If her customers don't like her services, the pimps are saying: "Satisfaction guaranteed, or we'll give you a refund!" But too many people won't be satisfied, and everybody will be asking for a refund, 'cause she's an old worn out Whore, and she's too sick to satisfy, and her owners aren't going to be able to foot the bill! They just ought to cut her off and let her die! 10. SHE THINKS SHE OWNS THE PIMPS, BUT THE PIMPS OWN HER! But if they sink with her, she does own them, see? But if they're smart pimps, they'll cut her off and let her die. But we already told her she's going to die! She's mad at us!--And now we have to tell her pimps to let her go, 'cause they're just going to lose money, 'cause she's going to die! 11. SHE'S AN OLD WHORE! She's old and ugly and diseased and proud and pompous! She's so selfish! She's cruel and destructive, and all her little European money pimps better dump her, or they'll go down with her! They have been making money from her hire, and they've been investing in her wages, but her wages and dollars are going to turn to ashes! They're going to be like sand between their teeth, like grit from her nitty-gritty! And they're going to grind their teeth and hate her, 'cause she lost them money! 12. THEY EACH ONE BOUGHT A BIG SHARE IN HER EARNINGS--they own her dollars and stocks and stuff--and, now she's dying, they don't want to lose it. Now that she's dying and not earning any money, because she's sick and diseased and costs them money, they're trying to support her, and they're saying, "We have to save her to save our money!" But they're going to lose her and lose their money too! 13. IT WOULD BE BETTER, MUCH BETTER IF THEY LET HER DIE. It'd be far better if they'd just notify her customers that she'd sick and ready to die. But they keep taking their money and making promises they can't fulfil, because she's sick and she can't satisfy them, so they're going to be left holding the old bag, and they can't pay back the customers. It would be better if they didn't take any more customers and just told them: "She is too sick and too old, and she's dying, so don't give me any more money! It's too late! She's dead! She's gone!" 14. BUT YOU KNOW WHAT THEY'RE DOING?--HER MONEY PIMPS ARE STILL SAYING, "OH, SHE'S A GREAT WHORE! She's satisfied many customers! She's still OK. She can still do you. She may be old and diseased and decrepit, but she can still make it. Give me your money, and you'll be satisfied!" But you know what?--She's going to die, and all these customers are going to demand their money back and say, "I didn't get satisfied! I didn't f__k your old Whore! She didn't deliver, and now you pay me back! I didn't get my f__k!" 15. AND POOR EUROPE! THE EUROPEAN MONEY PIMPS ARE LEFT HOLDING HER BAGFUL OF WORTHLESS DOLLARS, and they have to make them good and pay them back to the customers, because their Whore died! If they keep trying to support her, they're going to go bankrupt! They're trying to support her in her sickness and disease, and she can't service their customers. They're paying out good money to keep her alive, when she's going to die, and all that money is going down the drain--her drain!--All going down her ____ hole--when they ought to dump her! 16. YOU DON'T OWE NOTHING TO A WHORE!--You pay her, and that's it! But if you pay her and don't get value received, then you're mad and you want your money back! All her customers are going to be pounding on the doors of her money pimps demanding their money back, and saying, "She was sick and diseased and almost dying, and I couldn't even f__k her, I want my money back!" And the pimps, they'll say, "OK, we're going to support the dollar! We'll pay your money back! Don't worry!" --And they're going to go bankrupt trying to pay their money back and refund their customers' money! 17. AMERICA THE WHORE HAS SEDUCED AND INFECTED THE WHOLE WORLD! 18. BUT IF THEY BE FOOLISH PIMPS, THEY'LL THINK SHE'S STILL GOING TO LIVE and make them money, and they'll go broke--very broke! 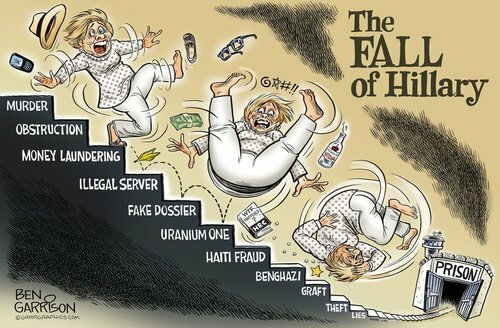 'Cause they're pouring their money down her old diseased p__y hole, and they're still trying to use all of her dollar earnings to support her until they think maybe she get well again.--But she won't! She'll get very sick and die, and the hire of the Whore will mean nothing--worth nothing--if the Whore is dead! They're just losing money, just pouring her dollar earnings down her hole! She's not going to make it! They're going to lose it all, and it will serve them right for trying to support her! 20. THEY MAKE A LOT OF MONEY ON HER, AND NOW THEY'RE GOING TO BE SORRY, because her dollars can't buy her f__ks any more, 'cause she's dying and almost done!--It's just like they're saying, "Here, here! Come! We'll buy your dollars so you can spend them on the Whore!--What they going to do when the Whore is no more? We have to warn the poor stupid pimps who bought a share in her cause they needed money. We have to warn them that she's dying! You may not be an educated economist, nor a financial wizard, nor a fiscal financier, nor a monetary money merchant, nor a capitalizing capitalist, but any man in the street or woman of the world can understand this plain, pornographic picture of the brutal truth of this horrendous gory allegory or gruesome parabolic parallel! 24. ALL I KNOW IS THAT THE PICTURE HERE OF AMERICA AND HER MONEY PIMPS AND LUCRE LOVERS AND CASH CUSTOMERS, and its warnings, basic principles and likely outcome, are amazingly similar, if not identical, to the picture God Himself paints of the mysterious Babylon, the Great Whore and Mother of Harlots, in the Book of Revelation in the Bible in which God Himself uses some pretty strong language, as He does in many other places in the Bible! As He so often does, here God draws a vivid view and remarkable representation like a caricature cartoon of radical realities, and forms it into a simple story like one of His plentiful parables to graphically illustrate His point, so even the simple may understand! 25. WE REMEMBER ALSO THAT A NUMBER OF GREAT BIBLE SCHOLARS, including Phillip Mauro and my own father, were convinced that the world capitalistic commercial System of merchant materialism is this Babylon, and the Great Whore of Revelation 14, 16-19, etc.! The great Oriental Prophet and miracle worker, Avak, who worked wonders in Iran some twenty or thirty years ago, discerning diseases and healing multitudes and even changing the weather, and converting multitudes of Mohammedans to faith in Jesus Christ, and who was even provided a palace and a guardian army unit by the Persian Government, was another great spiritual leader who believed this, particularly that America was the epitome of the Great Whore of Revelation, and, as such, would soon be destroyed according to these Scriptures! I sat at the feet of this marvelous Oriental mystic for many days learning the wonders of the Word and the revelations God had given him, including the fate of America, and the Socialism of Christ's coming Kingdom, and its amazing and practical design and Governmental structure! 27. 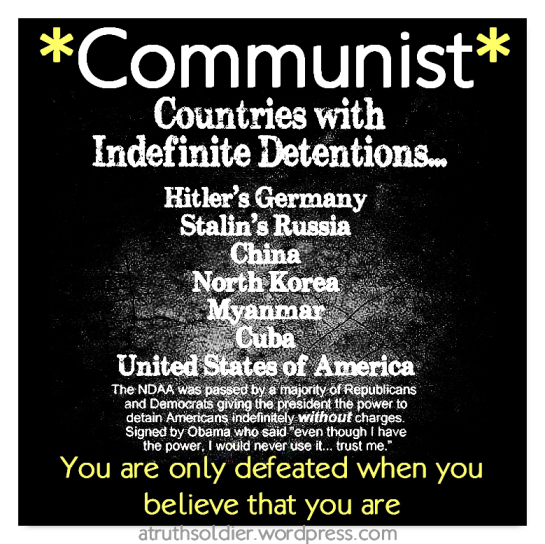 AMERICA ALONE NOW STANDS IN THE WAY OF WORLDWIDE COMMUNISM, and she's standing more alone all the time! Even her former friends are deserting her and joining the world Socialist community, leaving America tottering and reeling on the brink of economic and political disaster, about to fall to her doom, a perfect picture of the certain self-destruction of corrupt Capitalism by its own selfish weakness and rottenness and cruelty, as predicted by both Marx and the Bible! So there you have it, in the plain Words of Scripture, especially in Revelation 17 and 18! 28. LET US POINT OUT JUST A FEW OF THESE ASTONISHINGLY ACCURATE, DEADLY DESCRIPTIVE AND POWERFULLY POTENT PASSAGES in the Bible's own Words! It'll blow your mind! First of all, a description of the Great Whore, Symbol of the System, and Queen of Capitalism--so like America, it's almost uncanny! 31. ... THESE ARE SEVEN KINGS (or kingdoms, world powers or empires): Five are fallen (Egypt, Assyria, Babylon, Medo-Persia and Greece), and one is (Rome at the time John was writing this), and the other is not yet come (the coming one-world dictatorship of the Antichrist); and when he cometh, he must continue a short space (seven years--See Daniel 9:27, and the explanation of this passage in our basic class book, Revolution for Jesus!, with this and other Bible Prophecy lessons available to you for a small donation if you will write requesting it). 34. ... COME OUT OF HER, MY PEOPLE, THAT YE BE NOT PARTAKERS OF HER SINS, and that ye receive not of her plagues! 40. --AND IN HER WAS FOUND THE BLOOD OF PROPHETS AND OF SAINTS (the future of some true Christians in America? ), and of all that were slain upon the earth! (America has been involved and to blame for nearly every major war of this century, as well as a good many of the past, and has wreaked more destruction of war on the world than any other nation in history!--Nay, more than all other nations combined in all the wars throughout all history! She is the greatest warmonger the world has ever known, and the greatest destroyer they will ever see! Abandon her and her dollars or you'll be sorry! A cloud of madness is descending on America, and most of us are completely unprepared for the chaos that will be unleashed during the months ahead. This morning, I was reading through Deuteronomy when I came to a phrase that really resonated with me. In the Modern English Version, this is what Deuteronomy 28:34 says: “You will go insane because of what your eyes will see”. As I read that, it struck me that this is precisely what America is heading for. There are going to be people that have vast quantities of food and supplies stored up that are still going to blow their brains out when they see what happens to this country because they don’t have any hope. Without hope, I don’t know how anyone is going to make it through what is coming. If you think that the unrest and violence in Milwaukee are disturbing, just wait for a while, because much, much worse is on the way. 14/06/16 Comments by Steve: (editor of this website): My personal opinion is that this video is very interesting, but whether or not PUTIN is the king of the North mentioned in Daniel 11 & Obama the King of the South only time will tell. I think it is too dangerous to do any kind of exact date-setting, as the author of the video has done for next January 1st. The content of the video is excellent, but date-setting just gets everyone unecessarily worked-up and worried which is not wise. Nevertheless I have put this video on my website with this disclaimer. I think that it is good to know that the USA is most probably the Great Whore of Revelations chapter 17-18, that will eventually be destroyed, but exactly when? Only God Himself knows that! I will write more about these details in the future. Desperate people do desperate things, and we got small previews of what is coming in Ferguson and in Baltimore. Violent crime rates are already rising in our major cities, and many among the elite are getting out while the getting is good. In fact,3,000 millionaires left the city of Chicago last year alone. 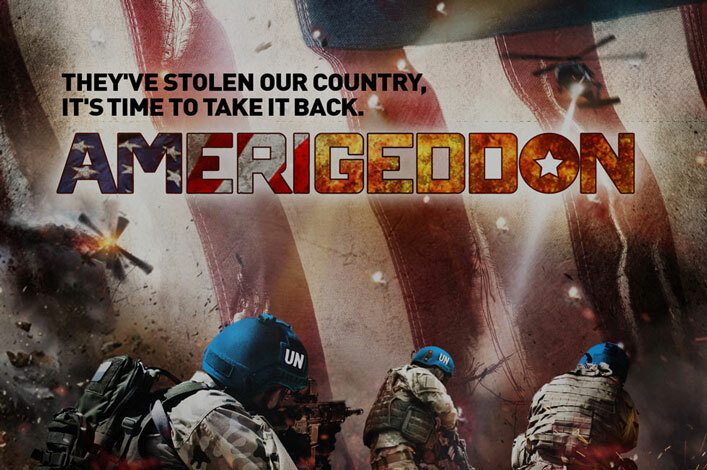 I’m Gary Heavin Executive Producer, Writer and Actor of the new movie AMERIGEDDON. I’ve always had a passion for truth. As a billionaire at age 50, I’ve had the opportunity to spend time with the 1% of the 1%, I was privy to the power and ego that comes with money and the temptation to start believing your own press, so to speak. The power goes by various names such as “the group,” the “deep state,” and the “shadow government” among others. Their board members sit on each other’s boards and their advertising revenues come from their corporate owners and associates. Most Americans are oblivious to this and don’t question the obvious bias. As I’ve mentioned, there are also people that are just plain evil. I ask for your support with the release of this film and for preserving America’s freedoms for future generations. Judgement day may have just taken a step closer, for killer robots at least. Amidst concern about the deployment of intelligent robots on the battlefield, governments have agreed to look more closely at the issues that these weapons raise, the first step towards an outright ban before they've even been built. For the military, war robots can have many advantages: They don't need food or pay, they don't get tired or need to sleep, they follow orders automatically, and they don't feel fear, anger, or pain. And, few back home would mourn if robot soldiers were destroyed on the battlefield, either. There are already plenty of examples of how technology has changed warfare from David's Sling to the invention of the tank. The most recent and controversial is the rise of drone warfare. But even these aircraft have a pilot who flies it by remote control, and it is the humans who make the decisions about which targets to pick and when to fire a missile. But what concerns many experts is the potential next generation of robotic weapons: ones that make their own decisions about who to target and who to kill. "The decision to begin international discussions next year is a major leap forward for efforts to ban killer robots pre-emptively," said Steve Goose, arms director at Human Rights Watch. "Governments have recognised that fully autonomous weapons raise serious legal and ethical concerns, and that urgent action is needed." While fully autonomous robot weapons might not be deployed for two or three decades, the International Committee for Robot Arms Control (ICRAC), an international group of academics and experts concerned about the implications of a robot arms race, argues a prohibition on the development and deployment of autonomous weapons systems is the correct approach. "Machines should not be allowed to make the decision to kill people," it states. While no autonomous weapons have been built yet, it's not a theoretical concern, either. Late last year, the U.S. Department of Defense (DoD) released its policy around how autonomous weapons should be used if they were to be deployed in the battlefield. The policy limits how they should operate, but definitely doesn't ban them. For example, the DoD guidelines state, "Autonomous and semi-autonomous weapon systems shall be designed to allow commanders and operators to exercise appropriate levels of human judgment over the use of force," and requires that systems "are sufficiently robust to minimize failures that could lead to unintended engagements or to loss of control of the system to unauthorized parties." The guidelines do however seem to exclude weapons powered by artificial intelligence (AI) from explicitly targeting humans: "Human-supervised autonomous weapon systems may be used to select and engage targets, with the exception of selecting humans as targets, for local defense to intercept attempted time-critical or saturation attacks." In contrast, the UK says it has no plans to develop fully autonomous weapons. Foreign Office minister Alistair Burt told Parliament earlier this year that the UK armed forces are clear that "the operation of our weapons will always be under human control as an absolute guarantee of human oversight and authority and of accountability for weapons usage," but then qualifies that slightly: "The UK has unilaterally decided to put in place a restrictive policy whereby we have no plans at present to develop lethal autonomous robotics, but we do not intend to formalise that in a national moratorium." Noel Sharkey is chairman of ICRAC and professor of AI and robotics at the University of Sheffield in the UK. When he started reading about military plans around autonomous weapons he was shocked because "There seemed to be a complete overestimation of the technology. It was more like a sci-fi interpretation of the technology." Of ICRAC's intentions he says the campaign is not against autonomous robots. "My vacuum cleaner is an autonomous robot, and I've worked for 30 years developing autonomous robots." What it wants is a ban on what it calls the "kill function." An autonomous weapon is one that, once launched, can select its own targets and engage them, Sharkey says. "Engage them means kill them. So it's the idea of the machine selecting its own targets that's the problem for us." For Sharkey robot soldiers can't comply with the basic rules of war. They can't distinguish between a combatant or a civilian or between a wounded soldier and a legitimate target. "There are no AI robotic systems capable of doing that at all," he argues, pointing to one UK-built system that can tell the difference between a human and a car "but has problems with a dancing bear or a dog on its hind legs." A robot weapons system won't be able to judge proportionality either, he argues; that is, judge whether civilian losses are acceptable and in proportion to the military advantage gained by an attack. "How's a robot going to know that? PhDs are written on military advantage. It's very contextual. You require a very experienced commander in the field on the ground who makes that judgment," he said. But one of the biggest issues is accountability, Sharkey said. A robot can't be blamed if a military operation goes wrong, and that's what really worries the military commanders that he speaks to: They are the ones who would be held accountable for launching the attack. "But it wouldn't be fair because these things can crash at any time, they can be spoofed, they can be hacked, they can get tackled in the industrial supply chain, they can take a bullet through the computer, human error in coding, you can have sensor problems, and who is responsible? Is it the manufacturers, the software engineers, the engineers, or is it the commander? In war, you need to know, if there's a mishap, who's responsible." 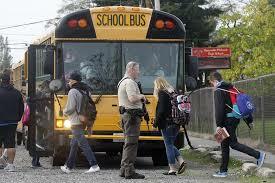 Sharkey's concern is that the weapons will be rolled out gradually despite the limitations in the technology. "The technology itself is just not fit for purpose and it's not going to be fit for purpose by the time these things are deployed." As the battlefield adapts to the use of increasingly high tech weapons, the use of autonomous robots become more likely. If an enemy can render drones useless by blocking their communications (a likely consequence of their increased usage) then an autonomous drone which can simply continue with its mission without calling home is a useful addition. Similarly, because it takes (roughly) one-and-a-half seconds for a movement on a remote pilot's joystick to have an effect on a drone, they would be slower to respond than autonomous aircraft if attacked, which is another good reason to make them self-governing. The ICRAC campaign hopes to use the decision by the Convention on Conventional Weapons to look at autonomous weapons as a first step towards a ban, using the same strategy that lead to a pre-emptive ban on blinding laser weapons. One reason for the unreasonable level of expectation around autonomous weapons is the belief that AI is far more capable than it really is, or what Sharkey describes as the "cultural myth of artificial intelligence that has come out of science fiction." Researchers working in the field assert that AI is working on projects that are far more mundane (if useful) than building thinking humanoid robots. "Every decade, within 20 years we are going to have sentient robots and there is always somebody saying it, but if you look at the people on the ground working [on AI] they don't say this. They get on with the work. AI is mostly a practical subject developing things that you don't even know are AI — in your phone, in your car, that's the way we work." And even if, at some point in the far future, AI matures to the point at which a computer system can abide by the rules of war, the fundamental moral questions will still apply. Sharkey said, "You've still got the problems of accountability and people will have to decide is this morally what we want to have, a machine making that decision to kill a human." Discussing whether robots should be allowed to kill - especially when killer robots don't exist - might seem to be a slightly arcane and obscure debate to be having. But robots (and artificial intelligence) are playing ever-larger roles in society and we are figuring out piecemeal what is acceptable and what isn't. What we have been doing so far is building rules for specific situations, such as the DoD policy on autonomous weapons systems. Another less dramatic example is the recent move by some US states to pass legislation to allow autonomous cars to drive on the road. We're gradually building a set of rules for autonomous robots in specific situations but rarely looking at the big picture. However, there have been attempts to create a set of rules, a moral framework, to govern AI and robots. Certainly the most famous attempt to create a set of laws for robots to date is Isaac Asimov's three laws of robotics which, since they were first defined in 1942, have offered - at least in fiction - a moral framework for how robots should behave. Robotics and AI haven't come anywhere close to being able to build robots that would be able to comprehend or abide by these or any other sophisticated rules. A robot vacuum cleaner doesn't need this level of moral complexity. "People think about Asimov's laws, but they were set up to point out how a simple ethical system doesn't work. If you read the short stories, every single one is about a failure, and they are totally impractical," said Dr. Joanna Bryson of the University of Bath. Bryson emphasises that robots and AI need to be considered as the latest set tools - extremely sophisticated tools, but no more than that. She argues that AI should be seen as a tool that extends human intelligence in the same way that writing did by allowing humans to take memory out of their heads and put it into a book. "We've been changing our world with things like artificial intelligence for thousands of years," she says. "What's happening now is we're doing it faster." But for Bryson, regardless of how autonomous or intelligent an android is, because it is a tool, it's not the robots that need the rules - it's us. "They have to be inside our moral framework. They won't have their own moral framework. We have to make the choice so that robots are positioned within our moral framework so that they don't damage the rest of the life on the planet." The UK's Engineering and Physical Sciences Research Council (EPSRC) is one of the few organisations that has tried to create a set of practical rules for robots, and it quickly realised that laws for robots weren't what is needed right now. Its Principles of Robotics notes: "Asimov's laws are inappropriate because they try to insist that robots behave in certain ways, as if they were people, when in real life, it is the humans who design and use the robots who must be the actual subjects of any law. As we consider the ethical implications of having robots in our society, it becomes obvious that robots themselves are not where responsibility lies." As such, the set of principles the EPSRC experts - including Dr. Bryson - outlined were for the designers, builders, and users of robots, not for the robots themselves. For example, the five principles include: "Humans, not robots, are responsible agents. Robots should be designed; operated as far as is practicable to comply with existing laws and fundamental rights and freedoms, including privacy." Dr. Kathleen Richardson of University College London (UCL) also argues that we don't need new rules for robots beyond the ones we have in place to protect us from other types of machines, even if they are used on the battlefield. "Naturally, a remote killing machine will raise a new set of issues in relation to the human relationship with violence. In such a case, one might need to know that that machine would kill the 'right' target...but once again this has got nothing to with something called 'robot ethics' but human ethics," she said. The robots we are currently building are not like the thinking machines we find in fiction, she argues, and so the important issues are more about standard health and safety - that we don't build machines that accidentally fall on you - rather than helping them to distinguish between right and wrong. "Robots made by scientists are like automaton," she said. "It is important to think about entities that we create and to ensure humans can interact with them safely. But there are no 'special' guidelines that need to be created for robots, the mechanical robots that are imagined to require ethics in these discussions do not exist and are not likely to exist," she said. So while we might need rules to make sure a bipedal robot can operate safely in a home, these are practical considerations alone, the ones you'd require from any consumer electronics in the home. "Ethics on the other hand implies something well beyond this," she says. "It implies a different set of categorical notions need to be implemented in relation to robotic machines as special kinds of entities." Indeed, while few of us (hopefully) are likely to encounter a killer robot, with aging populations use of human-like robots for care may become more important, and this could be a bigger long-term issue. Rather than feeling too much fear of robots, we may become emotionally dependent, and feel too much love. Robotic hand grasps human hand. Another of the EPSRC guidelines (again, one of the few sets of guidelines in this area that exist) states: "Robots are manufactured artifacts. They should not be designed in a deceptive way to exploit vulnerable users; instead their machine nature should be transparent." It warns that unscrupulous manufacturers might use the illusion of emotions in a robot pet or companion to find a way to charge more money. Perhaps one of the biggest risks we face is that, by giving robots the illusion of emotions and investing them with the apparent need for a moral framework to guide them, we risk raising them to the level of humans - and making it easier to ignore our fellow humans as a result. UCL's Richardson argues that robotic scientists are right to think about the implications but that the debate risks missing a bigger issue: why are we using these devices in the first place, particularly in terms of social care. Killer robots and power-mad AIs are the staples of cheap science fiction, but fixating on these types of threats allow us to avoid the complexities of our own mundane realities. It is a reflection - or indictment - of our society that the roles we are finding for robots - fighting our wars and looking after the elderly - are the roles that we are reluctant to fill ourselves. Retired US Army General Wesley Clark joins MSNBC in the 1 1/2 minute video below that should put an end to all 'conspiracy theory' speculation of what the 'elite' want to do to law-abiding Americans; according to Clark, it's quite obvious that they need to round them up and throw them into internment camps like America did back in World War 2 if they are 'disloyal' to the government. Advocating a life sentence without chance of parole for someone who hasn't yet committed a crime, is this the final warning Christians, 2nd Amendment supporters, Oathkeepers and Survivalists get before our government begins the round-up, hunting down the red list who are disloyal to those in Washington DC who have committed treason against our America? Or, is US Army General Wesley Clark merely saying it's time to round-up the radicalized terrorists who intend to commit acts of violence and murderous terror against the country and lock THEM away and throw away the key? We've obviously arrived at a very slippery slope and as one Infowars commenter said after watching this video, "the question is, who decides who is disloyal", a bunch of criminals in Washington DC who have over and over again committed crimes against humanity worldwide as well as countless crimes against Americans and the US Constitution while labeling Christians and those who support the US Constitution and the 2nd Amendment as potential terrorists? With Congressional approval ratings at all-time lows and the president's approval lower than 50%, possibly half of America and most of the readers on ANP would be on their round-up lists. Is this where Hillary Clinton fun camps come in? Where's the anti-war left on any of this? Obviously, a total no-show since 'Nobel Peace prize' winner Obama took office. Should someone be thrown into an internment camp simply because they are Christian, or Muslim, or Jewish? Should someone be locked away simply because they disagree with the endless war on terror or the endless supply of counterfeit money printed on worthless paper by our federal reserve, which many feel should be disbanded immediately? Should our government have the right to lock someone away simply for something that they MIGHT do, but might never do? “In World War II if someone supported Nazi Germany at the expense of the United States, we didn’t say that was freedom of speech, we put him in a camp, they were prisoners of war,” Wesley Clark told MSNBC. Clark’s remarks reveal the mindset of the upper echelon of government. Those who disagree with the government are now to be rounded up and shut up indefinitely in political internment camps. Mass internment of official enemies on par with Nazi Germany and Stalin’s Soviet Union is now “on the table” and openly discussed as suspicious attacks and FBI orchestrated and grandstanded terror plots continue to grab headlines and build a reactionary consensus as the designed result of an incessant, decades-long propaganda campaign. “Following this report, Herb Lane followed up with some very disturbing information about this development. In Herb’s photos, they clearly show guard towers. Unfortunately, his photos could neither be “print screened” or converted to a JPEG, and as such, cannot be reproduced here” HOW CONVENIENT! After reading today’s article, this gentleman will have absolutely no trouble understanding just how grave the situation is. Not only will this individual come to appreciate the danger that we are under with these developments and along with the concurrent roll out of Jade Helm, he will also learn how quickly a strip mall can be converted to a FEMA camp. 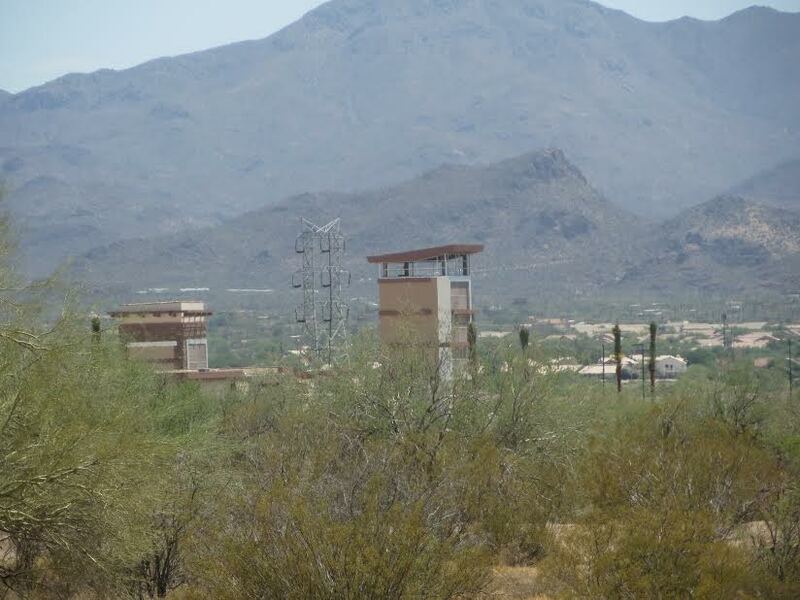 Guard Towers In Marana, AZ. Yesterday, I put out a request for Southern Arizona residents to investigate the construction of a new, suspicious mall which was being constructed with guard towers like so many other shopping centers and strip malls in Canada, the UK and the U.S.
Brian Nelson was among several people who descended upon the mall to bring the members of “Sheeple Nation” the truth about what plans the globalists have in store for millions of Americans. 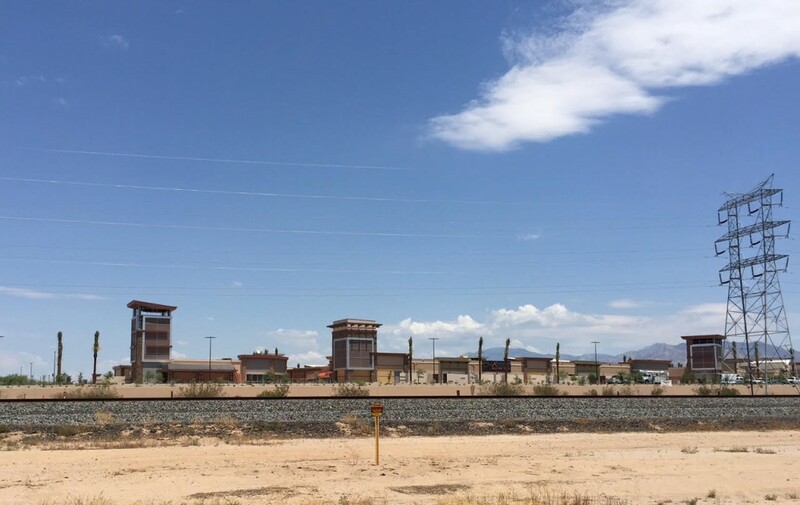 This was enough to establish the fact that this “new mall”, located in Marana, Arizona and is owned by Simon Properties, who has an agreement with DHS, to turn their facilities into detention centers in times of national emergency, is being constructed with guard towers. This was followed up with an email and a stunning picture sent to The Common Sense Show by John O’Hara from the Tucson area. I was driving by the I-10 and Twin Peaks Rd this afternoon and snapped this pic for you because you said in your article that you needed a jpg. In the O’Hara photo, please note not only the prominent guard towers, please note the nearby railroad tracks in the foreground of the photo. 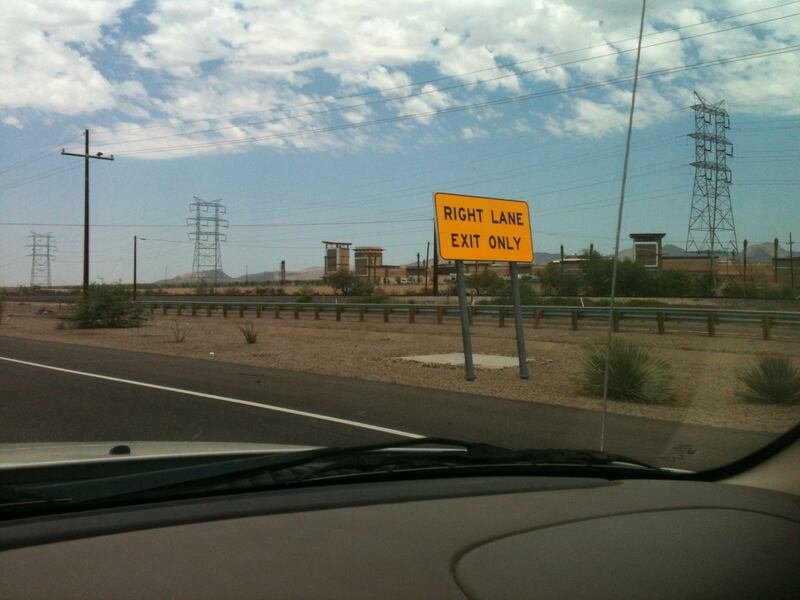 The following email and picture was sent to me by Julie and the following is a picture of the same mall in Marana. 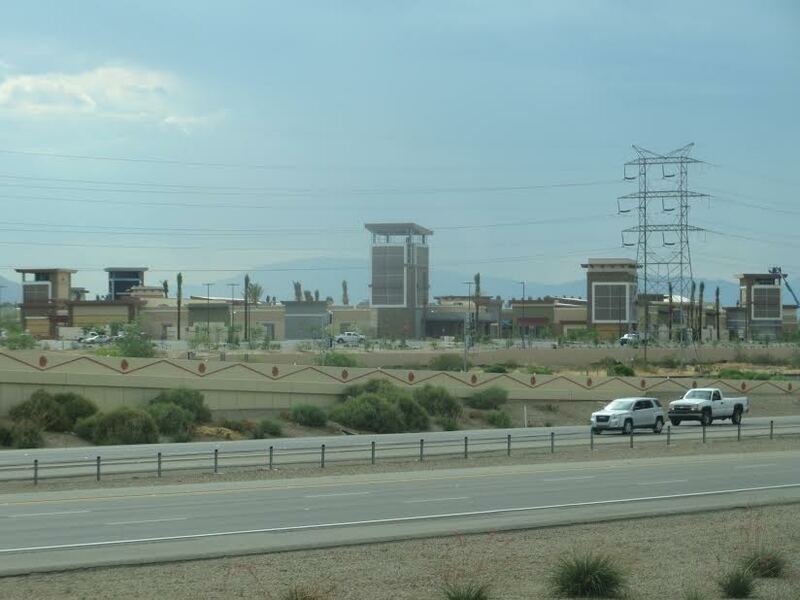 I was able to take a few pictures of the Marana Mall on Twin Peaks Rd. off of I-10. It is still under construction and very difficult to take pictures being that there isn’t a good place to park so I did my best. One of the pictures shows the railroad track running along side of the mall. I always felt this mall to be a bit eerie. Now I know why! Again, please note the railroad tracks. 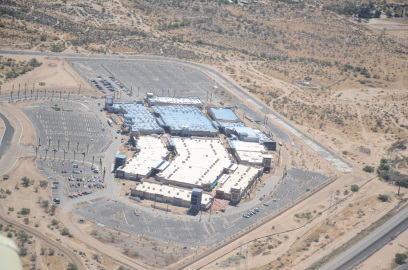 The following picture was sent to me by Robert Strong of Tucson and it is an aerial view of the shopping mall. Please note how prominent the guard towers are from the air. From the air, the guard towers stick out like a sore thumb. I have contributions from 27 other Tucson/Marana residents that were sent to me since yesterday. I could go on and on, but I think the readers get the idea. One naysayer wrote to me yesterday and said this was just an isolated phenomena. Give the fact that I have published very similar photos in the past few days, and they were obviously missed/ignored, I will address this issue one more time. 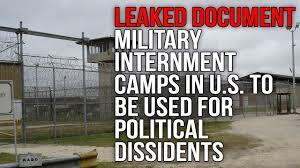 Do You Think These Soon-to-be FEMA Camps Are Just An Isolated Phenomena? The following was sent to me by a reader in Tampa. I was shocked at how many towers there are with this new mall. My husband said the towers are just popular right now… Right!? And for the wrong reason I told him. At this point of construction, if I didn’t know it was going to be a mall I don’t think I would have guessed it from the looks of it. The location is (conveniently) just off I-75 and approximately 25 minutes north of Tampa. (Tampa is home to MacDill AFB which is where CENTCOM and SOCOM are located!) Keeping my eyes open in Central Florida for you. For business reasons, this prominent business person asked to be only referred to as “Anonymous in Tampa”. Here is the revealing picture. Are we to believe that all across this nation, that city and county code inspectors are requiring the construction of guard towers for new malls and retrofitted closed malls like I showed you a couple of days ago in Washington state along the Canadian border? Or, can you now wrap your mind around the C word. “C” as in conspiracy against the American people? Most of you know the look you get when you honestly try and convince a member of the “Sheeple Nation” that America is on life support and that tens of millions are in grave danger because of Jade Helm and the proliferation of the conversion of everyday structures into FEMA camps. Along these lines, I was recently speaking with a friend of mine from Tennessee and began to point out how bad things in this country have become. 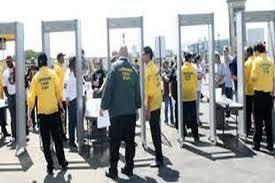 Inevitably, the discussion began to center around the subject of unwarranted detention centers called FEMA Camps. 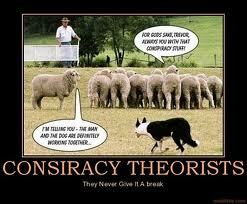 My friend rolled his eyes and repeated the national anthem of all sheep, “I didn’t know you were one of them conspiracy theorists.” He couldn’t hold back the laughter. I was not deterred, because I was at home and I had my evidence and I thought the evidence was irrefutable. Most of you could write the following paragraphs. I asked my friend if he knew that American citizens for any reason, or for no reason whatsoever could be detained under the NDAA and sent to a FEMA Camp? He said that the government would never use this law against American citizens. Unfortunately, the evidence suggest otherwise. 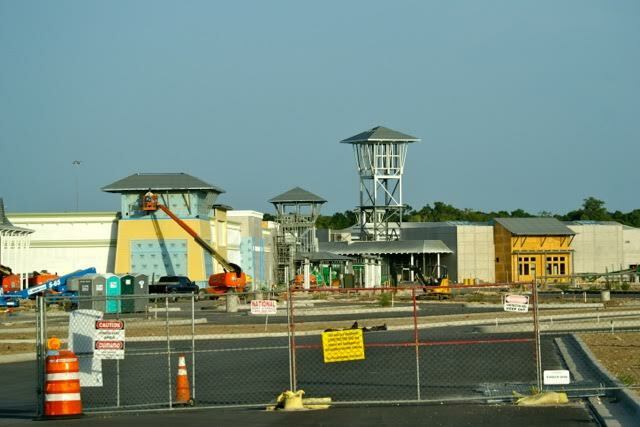 How Fast Could a Strip Mall Be Converted Into a FEMA Camp? The following KBR memo and email clearly shows that any structure can be converted into a FEMA camp complete with all the requisite fencing within 48-72 hours. I showed my asleep friend a leaked document in which KBR was telling its subcontractors to be prepared within 72 hours of notification to provide essential services to FEMA camps such as the installation of barbwire, blockades, personnel, food, water and sanitation services. 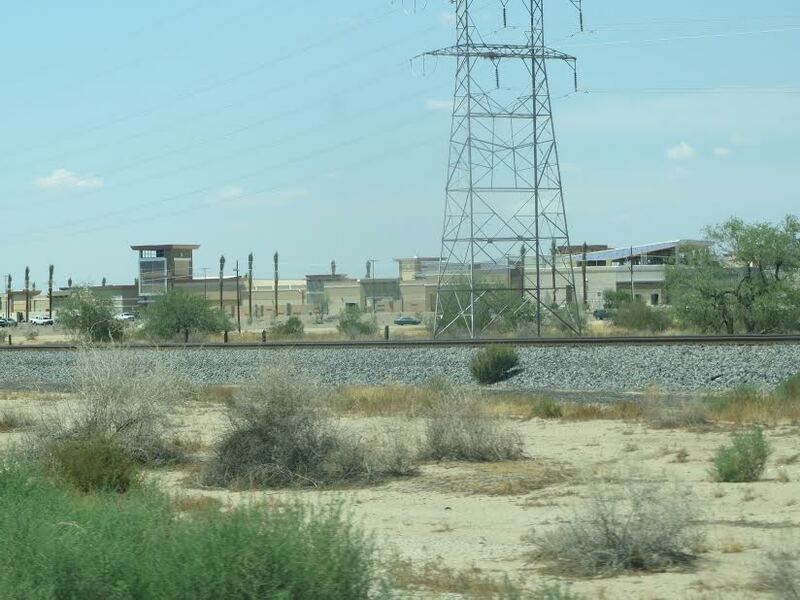 I published this notice three years ago and one of my readers, Richard Firth, forwarded an email he sent to the document’s listed KBR official, Bob Seifert, and asked him for an explanation which could justify the fact that KBR document was informing subcontractors to get ready to man the camps. Surely, I thought this would convince my friend. Below is the email exchange between Wirth and Siefert. I am given to understand that KBR, a subsidiary of Halliburton, is in the process of activating the FEMA camps according to a leaked memo. I and many others would like to know why these camps are being activated? Mr. Siefert wasted no time in answering Mr. Firth’s concerns as he provided a hastily prepared same day response. Thank you for asking about the truth concerning our search for subcontractors. First, KBR is not a subsidiary of Halliburton, and hasn’t been since April of 2007. KBR intends to respond to an upcoming Request for Proposal. FEMA is looking for companies that can set up temporary camps to house First Responders to natural disasters such as hurricanes, earthquakes, tornados, floods, etc. The services included in the KBR request for information are ones we cannot provide ourselves and will need companies who can react quickly enough to meet the FEMA goal of having a place for their responders to stay within 72 hours of a call up. The camps will be temporary in nature, and nothing is being “activated”. FEMA is trying to be proactive in preparing for timely responses if emergency responses are required. I hope this answers your question. To summarize, KBR’s Siefert asserts that (1) the camps are temporary; (2) the camps are only being constructed for first responders who will be used in anticipated future natural disasters; and (3) the existing FEMA camps are not being activated. 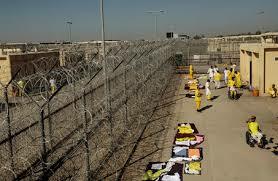 Why is the fencing always facing in so as to keep people in if these camps are only for volunteers? Often in life, there is the stated reason for performing some action and then there is the real reason. Below are some key provisions which are part of the impetus for activating the FEMA camps which are contained in the Siefert KBR memo. “The Continental US will be broken up into five regions as indicated in the map below Services” will be required in each State within each region.” (Author’s note) Interestingly, the South was also broken up into five military districts during the military occupation of the South during the Reconstruction Era following the Civil War. 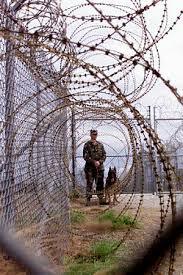 Additionally, the KBR Siefert memo disturbingly calls for the installation of fencing and wire used for large scale detention of prisoners. This sounds like FEMA Camp activation to me. Through KBR, FEMA has ability to construct this kind of fencing around any mall in 48-72 hours of notification of the need. Malls and stadiums can be converted quickly. Anytime, anywhere in two to three days. 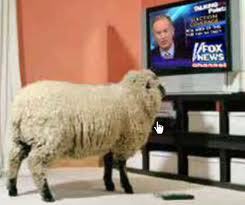 And the sheeple’s children are being conditioned as well. When a reasonable person compares Siefert’s original memo to his response to Mr. Firth’s inquiry, the latter is clearly a poorly and hastily orchestrated version of damage control because his original leaked memo was never meant to see the light of day. The KBR memo called for barricades, barbwire, food, water, sanitation, guards, etc. This is the material that prisons are made of, not temporary housing for first responders as Seifert alleges. Hastily staffed FEMA camp personnel would also fit the definition of first responders in the advent of widespread civil insurrection following something like a massive false flag or a looming currency collapse. The indisputable fact is that many strip malls are being converted to makeshift FEMA camps that can ready for occupation within three days. I confess, as will many of my colleagues, I have never had such a feeling of foreboding. Something very bad is about to happen, I can feel it in my bones.